Oh I love you on this edgy look! Definitely adore your peplum top! I'm loving the red pants and this peplum top, so pretty together! Gotta love a man who can cook, that sounds so nice!! Such a rock star look! You look amazing and it sounds like you had the perfect low-key love day! I'm loving the leather peplum, super chic. Sounds like a great Valentine's Day! I love the peplum top! And I love the backdrop of these photos! Looking cute! 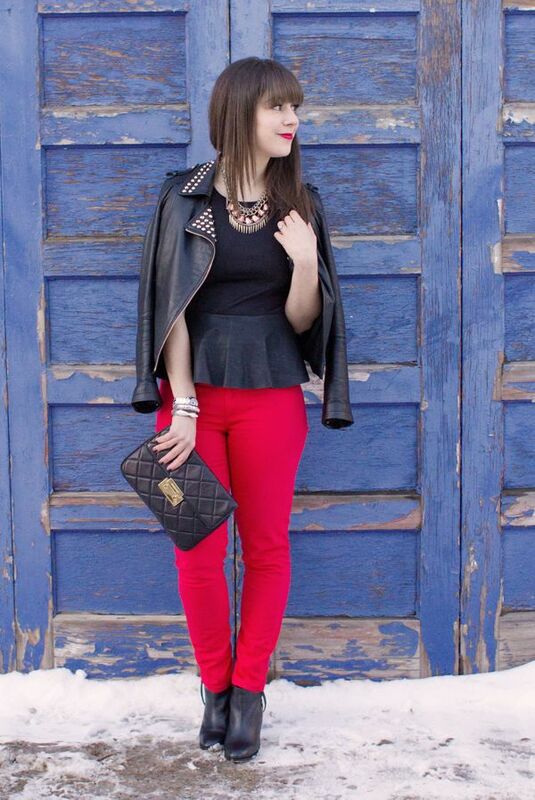 The snappy black peplum with the awesome red pants is a good combo. Love those red pants, but am seriously swooning over that chic top! Peplum perfection! Love the red pants & leather!